We have barely scratched the surface of hydroponic technology in India. 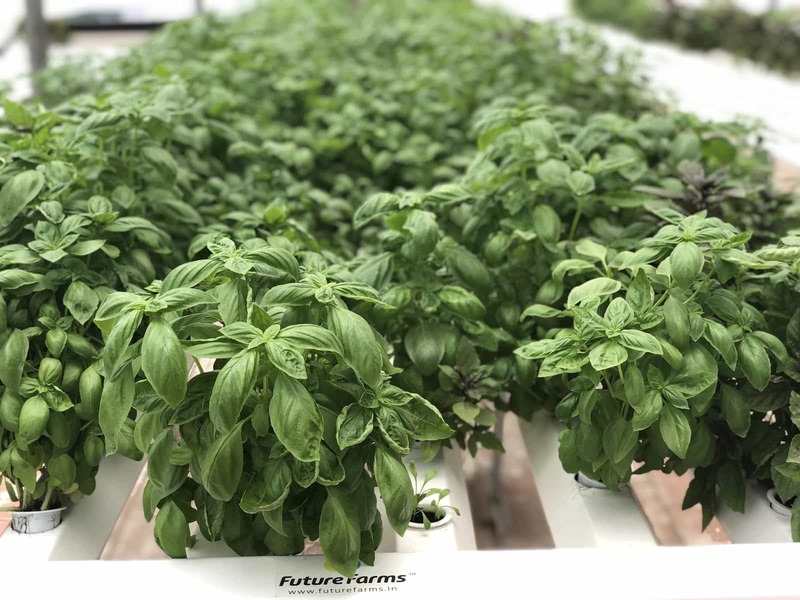 With just about 30 hydroponics companies in India, there’s an enormous need for education in the space that needs to be addressed. We at FutureFarms are trying to service this need with our hydroponic kits, in Chennai. If you haven’t already picked up a hydroponic kit from us, get one here! Now that you’ve got your very own home Hydroponic system, here are some guidelines to help you ensure your success as a hydroponic farmer! There are two main factors to growing in hydroponics; plant care and water care. Each is equally important and can have a tangible impact on your success as a grower using hydroponic technology in India. We’re one of the only hydroponic companies in India which provide our clients with extensive support post-sale to ensure growers success! The life cycle of a hydroponic plant is split into two parts; germination and growing. Before you can grow your plants in your hydroponic system, you will need to germinate your seeds and then transplant them into your system. At FutureFarms, we use a mixture of coco peat and perlite for our seeding mix since this is a light, inert medium that can be reused with each cycle. Pick up your FutureFarms Seeding Mix and Seedling Tray now! While transplanting your seedlings, ensure that you don’t damage the roots of your plant and don’t leave them open to air without hydration for more than 20 minutes! While putting your plants in your system, keep in mind that they will only survive if their roots are touching the water in the growing channel. After germination comes growing; keep your plants in a space where they get at least 6-8 hours of sunlight in a day and protect them from rain and pest attacks! Water care in hydroponics is as important, if not more so than, plant care. You must regulate the pH of your water to stay between 5.5 and 6.5 because this is the ideal range in which plants are able to absorb maximum nutrients from the water. The pH of your water is liable to change due to various conditions such as nutrient dosage, climate, and rainfall. Hence use our Bluelab pH pen or GHE pH test kit to check the pH of your water with ease every 3 days! Another important parameter of water care in Hydroponics is electrical conductivity (EC) or total dissolved salts (TDS). At FutureFarms, we use Bluelab EC pens to check the EC of our water! What does EC or TDS tell you about your water? It tells you the components of your water. When choosing water to put in your hydroponic system, ensure that the EC is less than 0.3, we recommend RO or drinking water since most tap or bore water in India doesn’t meet this criterion. After adding your GHE nutrients to the reservoir check the EC every 3 days to see how much your plants are eating and thereby deduce how much more you need to add. With these simple hydroponic growing hacks, anyone can become a successful hydroponic grower! So head over to the futurefarms online store and pick up your hydroponic kit from the best hydroponic company in India!